In a tour de force performance, Streep portrays former British Prime Minister Margaret Thatcher through the rise and fall of her career. Opening in 2005, soon after the London subway bombings, the movie portrays an Alzheimer-inflicted Thatcher as she struggles to cope with life. She imagines herself at times still being a prime minister. Her husband Henry (Jim Broadbent), dead for years now, is also a constant figure in her life through hallucinations. And as Thatcher sits alone in her house, she remembers as she rose to power, as she defied the stereotypes enforced on her by British society to become the first ever female prime minister of the country and remain in that position for more than eleven years, the longest ever for prime minister in the 20th century. To speak about The Iron Lady would be to speak about Meryl Streep for one is the other: a whole that cannot be divided into the sum of its parts. In a performance for the ages, Streep sweeps through every second she is on screen, cementing her status as a truly magnificent force and constant fixture to be reckoned with. You can never really go overboard with complementing Meryl Streep on her acting. In fact, I predict future generations to ask us why we haven’t really complemented her more. She pulls off the most difficult of roles and makes it seem like an afternoon walk in the park. When it comes to Thatcher, she nails the tone, the posture, the mannerisms down to the way she tilts her head when making a speech. That is the mark of a great actress – the greatest actress to ever come on our screens. Watching her incarnate Thatcher is a joy to the eye, ear and to the soul. 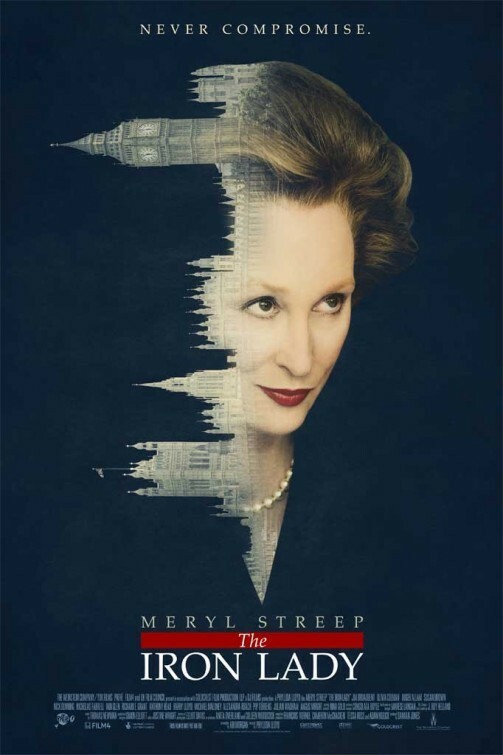 The heights that Meryl Streep takes The Iron Lady to are marred by what could have been a stronger script. I personally found the movie very engaging, albeit slightly disconnected as it kept going back and forth in time without a strong foothold in either. However, the overall mixture, in my opinion, works. Nevertheless, as possibly the only biopic to be made of Thatcher’s life, I would have liked the approach to be less of a senile woman remembering the days where she ran the country and more of what that woman did when she actually was in charge. Despite the movie being engaging, it is still unfocused. Imagine a movie being made about Ronald Reagen, often mentioned in the movie, focusing more on his years while struggling with Alzheimer’s and not of his two-term presidency. This is the case with The Iron Lady. Despite some left-wing squeamishness in dealing with the right-wing nature of the character of the movie, The Iron Lady cannot but be considered a great movie solely for the reason of the great lead it boasts. Look at it this way: it is an average script, touched by the hands of a genius who turns in into cinematic gold. It may not be for all tastes but no one can deny the absolute brilliance of Meryl Streep. And for those with whom the movie works, like me, you will be entranced as you watch the life of this woman unravel before your eyes. I have been intrigued by this movie ever since I read a newspaper article about how great Meryl Streep was in it. The fact that it was also referenced many times on The Big Bang Theory doesn’t hurt either and I recently got the opportunity to watch it. 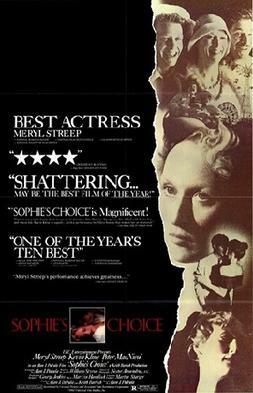 Sophie’s Choice tells the story of Sophie (Meryl Streep), a Polish Catholic and a survivor of the Nazi concentration camps. As part of her new life in the United States, Sophie falls in love with Nathan (Kevin Kline), an American Jew. The relationship is abusive at times and great at other times, but through the good and the bad, Sophie sees Nathan as her reason to live. The movie is told via a narrative by the older self of the character Stingo, a writer who decides to take up residence in the same house where Sophie and Nathan live. Soon enough, Stingo befriends the couple and starts to fall for Sophie as she starts telling him her life in flashbacks. Sophie’s flashbacks are the most interesting part of the movie. They reveal the intricate details that have made Sophie who she is in the movie’s present time. They reveal her darkest secrets, the truths she chose to keep hidden, and most importantly, the gut-wrenching choice she was forced to make, one that will shake you to your core. To say Meryl Streep was great in it would be an understatement. Meryl Streep is an acting Goddess. There isn’t any role that she doesn’t nail to a point where further nailing cannot take place anymore. She works with the Polish accent perfectly and even throws in some German dialogue there for good measure. When Sophie gazes into the distance, looking at her past, the gaze goes right through your soul. The movie, however, I felt was overstretched. It runs for over 150 minutes and sometimes drags on. I thought the focus on the relationship with Nathan became borderline obsessive sometimes. The flashbacks, which are the best part in my opinion, are interspersed throughout the movie and sometimes feel underdeveloped. I definitely wanted to see more of them. Moreover, you could easily consider the movie as a vehicle for Meryl Streep to shine. The other actors in it are simply accessories for her character’s weaknesses and strengths to get across. Overall, Sophie’s Choice is a movie that solidifies what most of us already have in our head, that Meryl Streep is, simply, the best.